We got a little bit of rain here tonight, too. 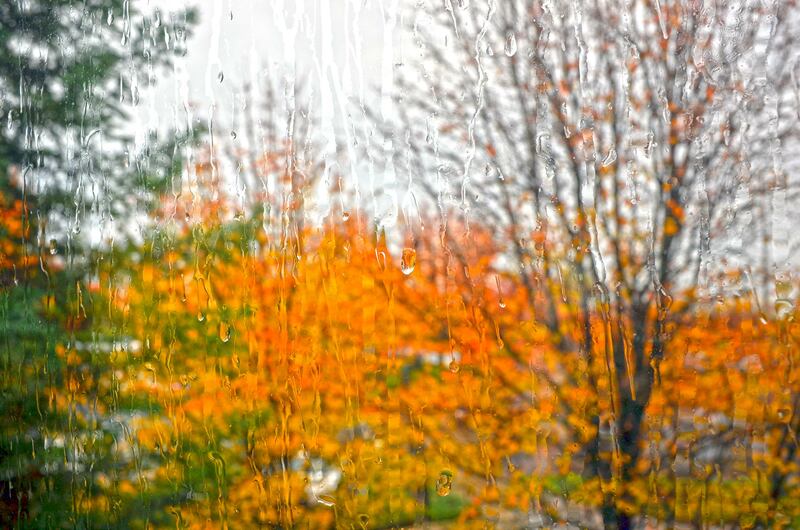 I love the smell of a Fall rain! If we could have bottled up some of our deluge today, I would have shipped you some. I hope your relief comes soon! Congrats on finally getting some rain! I just wish it didn’t come all at once! We’re supposed to get it in a couple days… if only it could give us both moderate but steady! Who knows…we might yet get a steady pounding winter after all. By summer, I’d be very grateful! Stay safe. We’re good to go, it’s you I worry about – washing into the ocean wouldn’t be fun.